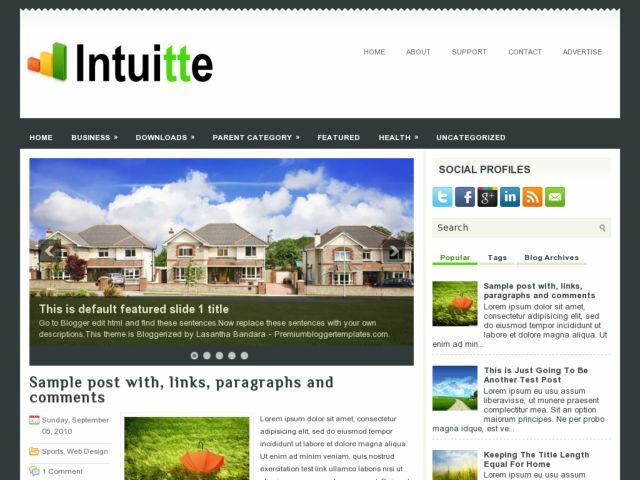 Intuitte Blogger Template is a free blogger template adapted from WordPress Theme to Blogger Template. Features : clean white design, right sidebar, magazine style, featured content, simple slider menu, dropdown menu, social bookmark ready, static pages ready and more. Suitable for all type of blogs.